I filmed this last week, and I’m just now getting around to posting it. They take a long time for me to render/edit and post (especially since I’m new to this video stuff! )…and I just haven’t had a lot of time! Hope you enjoy…post your questions below for the next Q & A. Entry filed under: Q & A, Raw, Videos. hi sara, im a vegetarian and after a bloodtest, my doctor told me that my iron levels are low, she said its best not to take iron pills and i dont want to either, so i was wondering how you keep your iron level in check. I will appreciate your help SO SO much. How do you feel about low blood sugar or a need for protein. I started green smoothies on Monday and felt great all day and then I crashed and had shaky/low blood sugar issues. And then I overeat all day long. Do you think it is ever okay to add a form of protein to your smoothie? And have you ever used spirulina? I’d love to see this video, but it isn’t coming up on my computer. I would love to know your thoughts on plant based protein powders and adding them to your smoothies, as well as ground flax seed, and also your thoughts on coconut oil. In addition to the comment above I also have low iron pretty consistent throughout my life whether I eat meat or not. I am wondering what I can do to up my iron and the absorption of it. I was thinking spinach and orange juice in my green smoothie since spinach has iron and you need Vitamin C to absorb it? Also, how much water do you put in your quart smoothies? very informative! thank you. loved the little baby hand reaching up to touch you. so cute. Thank you for the video! I especially love your take on dairy. I haven’t heard of chia before. Thank you! Thanks for the latest video. I love this new format you’re using to communicate! We have done both raw goat and raw cow’s milk and have found they both digest so much better and the health benefits have been really noticeable. We also turn ours into raw yogurt and kefir, which are even better due to the beneficial bacteria. One thing that is unfortunate is that real milk gets lumped in with conventionally produced milk and gets a bad rap. Either that or the big milk companies are lobbying against the small farms producing these good milks. So I think it’s important to emphasize how *good* local, raw milk is. Also really great to hear you speak truth about soy. The Asians always used it as a fermented product, like real soy sauce, tempeh, etc. I am loving the green smoothies. I have a big 24 oz. cup that I’m drinking out of, filled to the rim. YUM. My problem is I still want my Diet Coke. I’m drinking less than I was before, but I still want/crave that bubbly taste. I’ve cut out artificial sweetners in everything else I can, but I can’t seem to knock this one! What suggestions do you have for weaning off soda? Can you recommend anything to replace that taste/sensation? I’ve thought about selzter and juice? in my attempts to try and quit, my husband pointed me to the alarming side effects of aspartame – one of them being a neurostimulant. people think that we’re addicted to the caffeine. not so! think about it — people who reeeeeally love their diet coke get almost excited to have a tall, cold, sparkly and bubbly one. i *CRAVE* it. i stepped down to the splenda diet cokes just to get myself off of the incredible amounts of aspartame. i found myself picking up diet cokes at drive-thru places and grabbing them on the run… more often than i’d planned for, anyway. since starting the green smoothie challenge, i haven’t had ANY soda, and here’s the funny part — i haven’t craved it at all! it could simply be a coincidence, but i’m taking all i can. i won’t be buying any more diet cokes — if they’re not here, i won’t drink it. i tried all sorts of sparkly drinks, but i just couldn’t kick how badly i was craving the bliss i felt with a cold diet coke. google diet coke and aspartame — it’s absolutely frightening! and if you really start looking, you’ll find it it’s in SO MUCH stuff! why on earth do they need to artificially sweeten a one-a-day multivitamin for a kid????? they’ve put it in so many of the multivitamins for kids lately that it’s HARD to find one without it in a regular store like walmart or target. BEST OF LUCK to you! i completely, and whole-heartedly feel your battle here! I’ve read studies that it’s better to consume most of your calories earlier in the day since you are active and can burn them off throughout the day. “Breakfast like a queen, lunch like a princess, and supper like a pauper.” 😉 What do you think about that? So far I have my whole grains, nuts, and berries in the morning, a BIG green smoothie at lunch, snacks of fruit and seeds, and a salad for supper. I also switch up the greens (which I grow in my garden!) and fruit every day for my smoothie to get a variety of nutrients; tropical fruits are too sweet for me and I prefer more local fruits like berries, apples, pears, plums, etc. One other question! What about the benefits from organic white and green teas? I still drink them daily. Sara – once again a great and informative video. I would love for you to post or do a video segment on milk. I second Joan’s comment. Would LOVE to hear much more about milk and your opinions on it! I also am totally enjoying these videos. 🙂 Thanks for the inspiration! Loving all the info you are sharing in these posts, etc!! Just a remark on eating roughage…I have to be VERY careful how I eat roughage (and adding a potato, rice, bread, etc. can help)…and will continue experimenting as I go along to see if I can find ways to tolerate more of it. Years ago I began having severe pain in my stomach and ending up in severe bouts of diareahha. I have not been diagnosed…I tend to stay away from docs as much as I can…but I have been allergy tested through the years here and there and all kinds of these tests, be they blood or skin, show me to be very allergic to lettuce. One doc told me to try growing my own, organically, which I did…but almost no help at all. So for the last 20 years or so, I have religiously avoided lettuce in all forms. I can however still eat raw or cooked cabbage, both the chinese napa cabbage (which is great as a substitute for lettuce) and the hard large ones in cole slaw etc. I used to eat a fair amount of raw spinach, but had to eventually give that up too..however just last night ate a small spinach salad that a friend made and was ok. I find I cannot eat raw every day..but do so as often as I can. 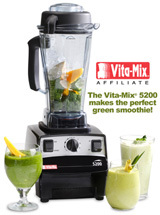 I am hoping to try the smoothies and see how that goes…that might be enough of a help. Also take digestive enzymes which help too. Years ago we had to put our son on goat’s milk as he became instantly in trouble after I weaned him…I was told at that time that goat’s milk was the closest to mom’s milk. And having raised goats I can tell you that if they are ill, you know it instantly whereas a cow might be milked an hour before dying…and you might not know it was sick till it keeled over. Goat’s milk makes wonderful ice cream, by the way…and my kids used to love the cheese made of it. My question for next time…I tried making Chia Fesca, gotten from a blog you linked to as I recall…but what do you do with the seeds? My friend tried using it soaked first and in salad dressing…but dear, we are old…and our teeth not so good and it gets stuck and can take HOURS to get out of our teeth. When you make it into cereal for your family…are the seeds blendered first…or do you strain them out somehow? Any ideas you have are appreciated…I do think Chia is a great idea nutritionally and we want to find ways to use it. Also, if you ate beans more daily, eventually it should not cause gas…I do not eat them daily, but several times a week. My daughter is gluten sensitive and we use garbanzo flour, among other flours, like amaranth (A super food too) and she eats it daily. If gas is a problem it is more likely something else we ate. Add it SLOWLY to the diet and unless you have an allergy to it (and we do to some beans…pinto and kidney beans are hard on us)….I suggest garbanzo and black beans as easiest on the stomach. Just my penny’s worth here. Thanks again so much…sorry this is long!! Yes, please do a video on milk. I want to know more of your thoughts!! And I second the question about using almond milk or rice milk. I love eating cheerios for breakfast, but not anymore after hearing about the nastiness that is in milk. Just nasty. Thanks for your video and answering my questions. My husband and I just sat down about a week ago and looked at the budget and discussed ways that we can make changes to be able to afford more healthy food. And also meals that can be made with variations we will both like so we are finally headed in the same direction! Thanks again for all of your inspiration. I loved this video thanks! My daughter, 18 mos, can’t have cows milk, so she gets goat’s milk, and your explanaition made so much sense. I would like to learn more about getting more protien into my and my daughter’s diets. We do eat cooked food and very little meat, (I’m pregnnat and it’s really gross to me) however I worry that my daughter and my baby just aren’t getting enough. And soy…. it’s horrible stuff. Also in asia the soy that’s often eaten is fermented, which helps digestion, whereas the majority of soy here isn’t. I’d love to hear the cheese side of the dairy question, specifically going about breaking cheese addictions. Has to be cows milk cheese too, I love goat cheese but the cravings are for cows milk based. Maybe enough scary dairy facts would do it. 🙂 I did switch to only organic dairy a couple years ago. Also you’ve mentioned Vintage Remedies as a source of health/wellness related information. What other books/websites do you find helpful? Thanks so much for the great video, Sara. It was really informative and reminded me how important healthy eating is. I’ve been in a heatlhy eating slump (having all those things I denied myself while pregnant) and your video and website will help me in getting back on the healthy eating a living wagon. Someone may have already posted this, but I’d love to hear how you eat raw with the changing months, specifically how you handle eating raw in the cooler/cold months. Thanks! I was wondering if you could recommend some of your most-loved and most-reached-for cookbooks. Does the feeling of starving to death go away once you get used to a better diet? I also have this problem when eating raw. One more thing, I LOVE the idea of several bananas as a snack, but I was warned not to do this because too much potassium causes constipation. Have you had any problems with this? Our work just declared “no food at your desk at all” and I’m SO used to snacking on fresh fruit throughout the day I don’t know what to do!?!? Thanks for these video posts, they are awesome! Sara, I just wanted to mention my concern about Lucy’s hearing; you’re wearing her and she’s right in front of the noisy blender during the video. Children and especially babies should not be exposed to such loud noises. I’m sure you just forgot since you wear her all the time. Straws…. they’re plastic…. to be green, you’d want to re-use them, but would washing them in water hot enough to really clean them eventually break down the plastic, making the straws harmful? Maybe a petty concern, but what are your thoughts? And I second (or third, fourth, fifth…) the request for a video dedicated to milk! so, I’m all about the raw in the summer time. We usually eat a lot of salad, this year I’ve been trying more raw dishes, but what does one do about raw in the winter? I LOVE soup… with a big hunk of bread… what do you substitute when you just want a big bowl of something hot? am not ready to get away from milk just yet (eventually, hopefully…we are taking baby steps to eating healthier) but how do you feel about organic cow’s milk? how much chia do you recommend eating, or starting off with? i want to buy some and add it to smoothies. i’m hoping to drink a smoothie a day. all i have is a blender… would that be okay to make smoothies with, or would eventually getting a juicer be a better idea? and please, please tell us more about milk.. i am so curious. i love the way milk tastes, and can’t imagine not drinking it, but i would really like to be able to cut it from our diet, and i don’t plan on feeding it to our little boy. one last thing … this doesn’t have to with food, but with the health of your skin. i know you can probably attribute your beautiful complexion to your diet, but i was wondering if you wear make-up? i don’t wear it that often, but when i do, i would like to put something healthy on my skin. is there anything you would recommend? i am currently using some samples of Everyday Minerals, which has all vegan ingrediants, but they dry out my skin. what do you recommend for a facial cleanser and moisturizor? even with dry skin i still break out. wow that’s a lot… thanks for your help, if you can! Hey, just wanted to say that I tried to go without milk toward the end of this month and after two weeks of not buying it I had some this morning to see what it tasted/felt like in my mouth. I loved milk and would easily drink up to 2 cups/day before, but since it became more expensive I wondered if I really needed it. Anyway, this morning I came home from having put creamer in my coffee & drinking a glass and felt yucky. My mouth was coated & I could feel the mucous start to form. It totally grossed me out so I’m with you on not liking it. I’d challenge anyone out there that thinks they can’t live without it to try to come off for 2 weeks and then try it again and see what they think…yuck! Thanks for the video – inspired me to try chia seeds – I can’t wait!!! I enjoy your blogs so very much. I just wanted to ask about IRON intake for kids. I was a vegetarian for 10 yrs and I had a son and (he’s now 2 yrs old) and I tried to raise him as a responsible vegetarian, but tehn at 18 months old he was diagnosed with severe anemia through a series of blood tests, so we all stopped being vegetarian and he eats red meat every day as spinach wasn’t apparently working. He’s allergic to colorants so he can’t have iron drops and also a tad allergic to citrus fruits so he can’t have that either… What other sources of iron do you recommend? Oh and he doesn’t drink cow’s milk, but is still on goat’s milk formula. Hi Sara! Thanks for the great video. My question for your next Q & A is about the link between food and skin. For years now (I’m 23) I have had problem skin that has been diagnosed by doctors as “hormonal.” They then add that there is nothing I can do about this but wait for it to go away. I’m wondering if you have any tips at all. Currently, I’m cutting out dairy to see if that helps but would love to hear any suggestions from you! First a comment for the getting off soda question. I found that mixing a bit of juice concentrate and a few drops of stevia into seltzer is much more satisfying than regular juice mixed in. It’s not as diluted so the drink has that bite that soda has. Now for my question. I am just beginning to explore giving up meat, dairy, etc., but my husband has absolutely no interest in joining me on this adventure. He is a very picky eater and he likes his meat. What advice could you give me on how to handle the extra chore of preparing separate food for each of us? I’ve come up with a few ideas of meals that accomodate both of us, but in reality we will be eating different things much more often. I want to succeed but I am feeling a bit overwhelmed at the thought.